Yesterday in Part One of this theory we recapped the events of Gathering Storm and discussed the possibility the a secret coup took place on Terra. It seems that Roboute Guilliman, not the Emperor, now rules mankind from Holy Terra. For the second time the Avenging Son is accused of building his own empire. Whether he killed the Emperor to take his place or simply is keeping the comatose Master of Mankind around as a puppet is up for debate. What is clear is that a new power controls the might, and fate of the Imperium. No matter what was said during his conversations with the Emperor, Guilliman is now the one giving orders. But is it Guilliman’s will that now guides the Imperium, or someone else’s? In fact, a closer look at the evidence seems to revel a dark fact: It is Guilliman who is the real puppet. So let us look at the man behind the Throne, Cawl. Archmahos Cawl emerges from the Gathering Storm as one of the most important people in the Imperium. Not only is he responsible for bringing back Guilliman, but he is also in charge of the entire Primaris Marines project. He is the mastermind behind not just their birth and augmentation but their equipment and war machines. In doing this he has found, or created, technology that surpasses that found at the height of the Golden Age and the Great Crusade. Technology, such as the new grav tanks that has an almost xenos feel. But who is Cawl, and what drives him? Cawl was created for Gathering Storm and so we know next to nothing about him. What little we do know is highly suspicious. His claims that he undertook his work work at the behest of Guilliman are supported by no one. Not even Guilliman himself talks about it. Certainly none of his successors, including Ultramarines Chpater Master Marnneus Calgar had any notion of who Cawl is or of his pact. In addition we know that on at least one occasion outside forces controlled his actions and modified his memory. It is unknown how often this happened. 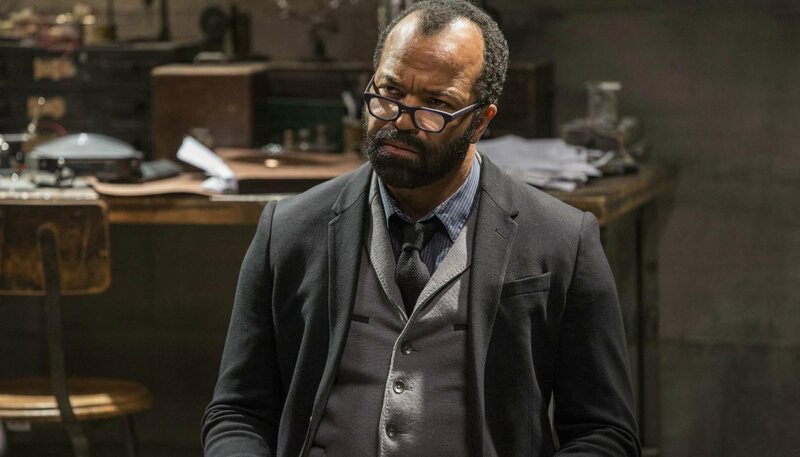 Just like everyone on Westworld! All of this should make us very suspicious of Cawl and his actions. In addition it needs to be remembered that Cawl is a member of the Mechnicum and thus, strictly speaking, not an Imperial. Even if he believes in mankind, it doesn’t mean he is loyal to the Emperor. 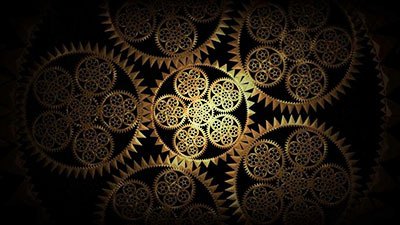 There are sects within the Cult Mechanics that do not recognize the Divinity of the Emperor. We don’t really know where Cawl’s beliefs lie. Then there is also the possibility of Necron taint through the Void Dragon, which may or may not be the Omnissiah. 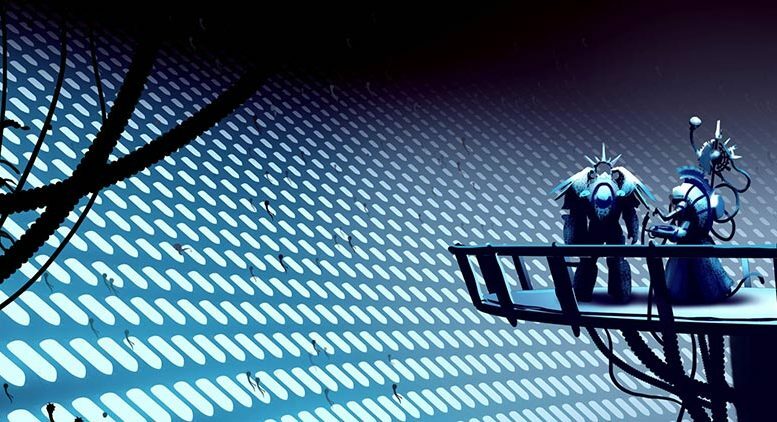 He did show remarkable willingness to work with a Necron lord, who even noted how similar the two being were. Thus there are a couple of reason that Cawl could want to stage a coup and place someone under his control in charge of the Imerpium. 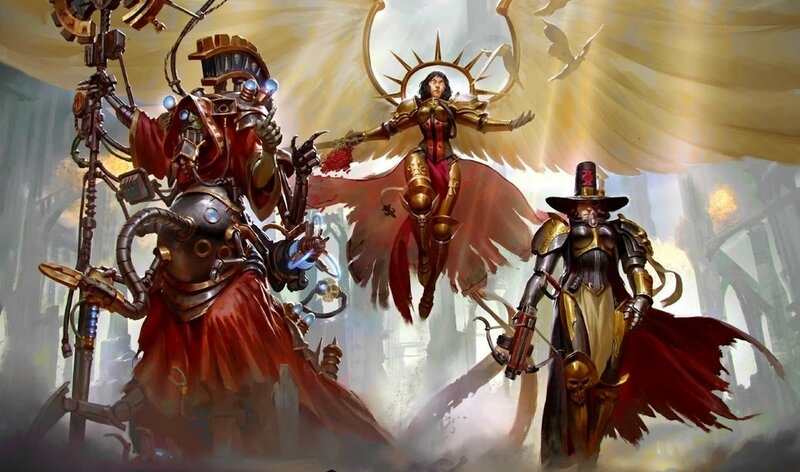 It is clear that his actions have given the Adeptus Mechanicus unprecedented control over the Space Marines. This is something that has never happened before. The addition of Primaris Marines to the existing chapters has even in effect placed their agents of Mars in all chapters, not just the newly raised ones. With the power granted to Cawl, Mars is in ascendance. But did this power come out of gratitude or control? 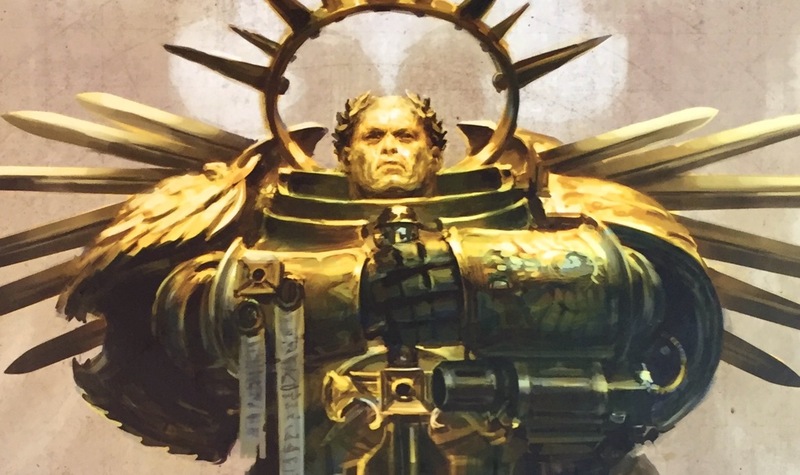 Guilliman was only able to return to life through the strange suit of armor built for him by Cawl. What if that armor, not only keeps him alive, but also controls him? A suit of armor that Guilliman can never take off and that only Cawl can keep working alone would give Cawl some measure of control over the Primiarch. 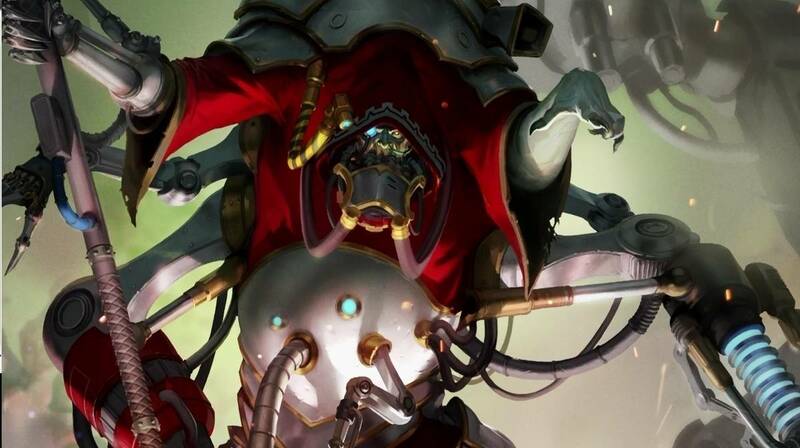 But given the technology Cawl has at his command it is not impossible to think that he could have a more direct form of control, through implants and cybernetics, over the Avenging Son? Cawl, through the armor he built, has a method of controlling, in effect, the Imperium. 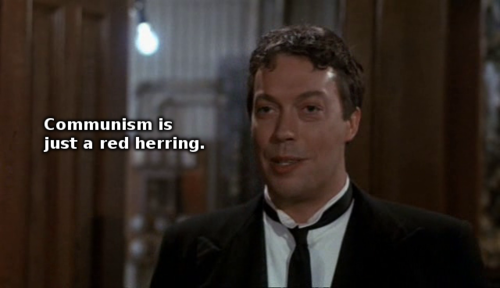 Cawl, like communism, is a red herring. 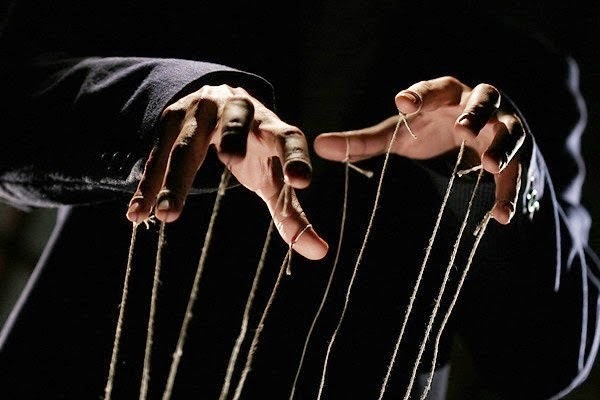 Though he has the power to control the Imperium, and is an instrument in the grand coup, he is not the puppet master. The name alone is a give away. Cawl is named after the historical Byzantine general Belisarius. Though Belisarius was a brilliant commander, retaking much of the lost Western Empire, Emperor Justinian always feared he was plotting coups and constantly relieved him of command. In the end Belisarius, helped to bring the empire into a new golden age and was always proven to be loyal. So too has Cawl appeared at a dark hour to help reunify a splintered empire. Most likely he even thinks that is what he is doing. But Cawl is not in command of his own actions. Cawl, with his fuzzy memory and unknown background, is just another pawn in a great and deep game. 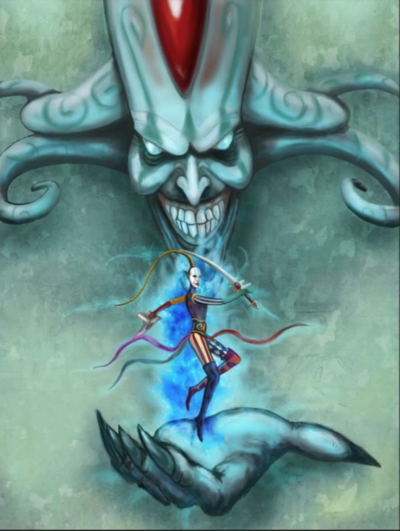 Throughout the story of Guilliman’s return the inscrutable Eldar pop up again and again and again. Their continued presence in the story is highly suspicious. 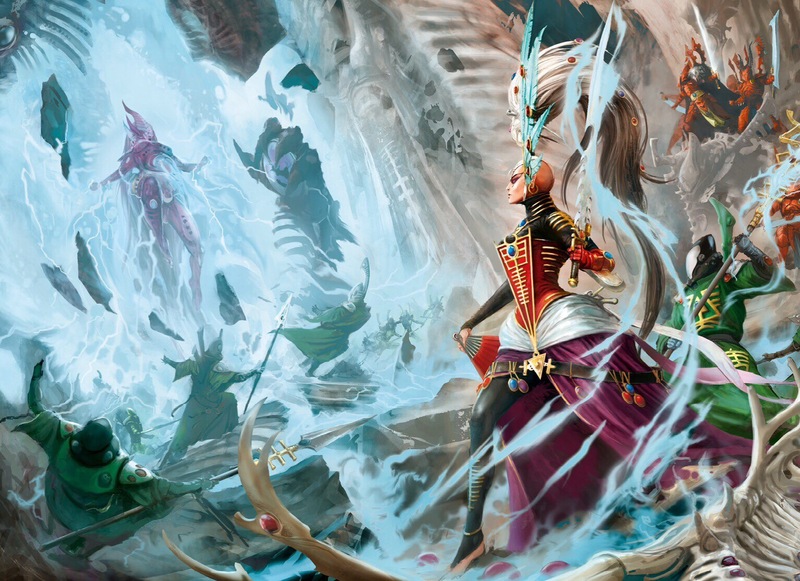 In particular the figures of Sylandri Veilwalker and Yvraine. 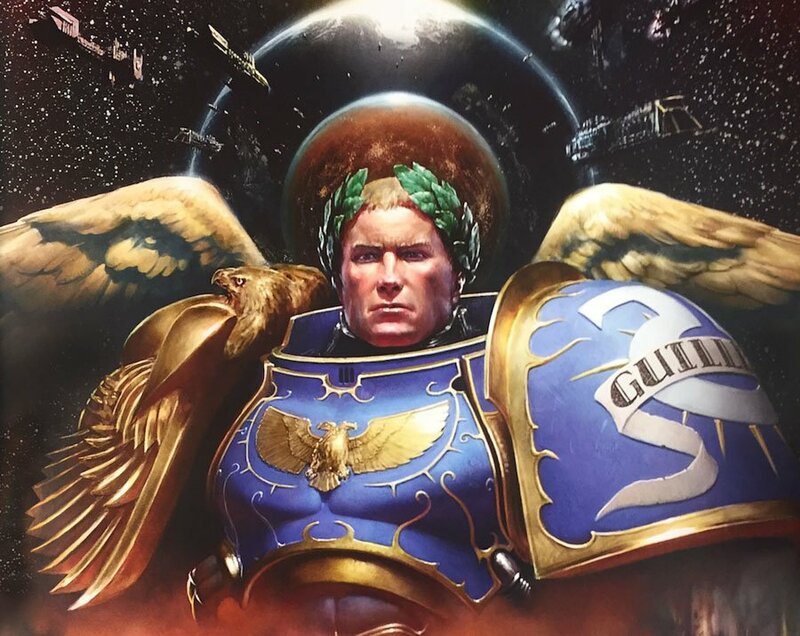 Is it possible they are controlling Guilliman and through him the Imperium? In fact on looking at it this seems completely possible. Veilwalker is the first to show up in our story aiding (controlling) the Archmagos Cawl around whom much revolves. Though her first appearance seems to be her aiding him in finding out about the Pylons that can hold back the warp, it also revels much more. Vielwalker can both control Cawl and manipulate his memories. 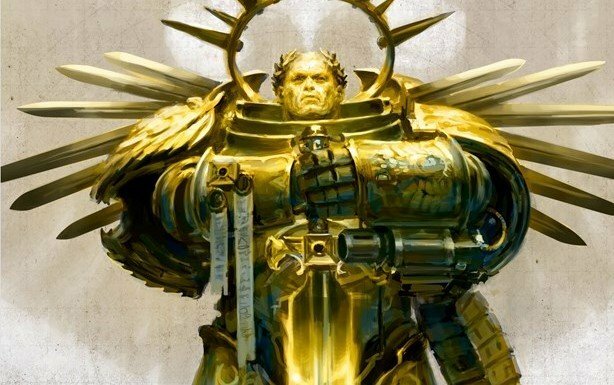 Cawl thinks that he has spent 10,000 years building a suit of armor and a new army for Guilliman. But has he? His own memory can’t remember the actual conversation that set him on his work. Did Guilliman or did the Eldar order his work? In fact Cawl’s memory is repeatably shown to be faulty. The Eldar meanwhile seem very invested in Cawl waking Guilliman up. Vielwalker, and the other Elder take direct action along the way to make sure that Cawl and his armor reach Guilliman. In fact they take a direct hand it that, while leaving Cadia, and it’s pylons, supposedly their goal to protect, to their own devices. Moreover the resurrection of Guilliman can’t even be done by the armor alone. It takes both the armor and the intervention of Yvraine and the Eldar god of death to bring him back. That fact is something neither Cawl nor Guilliman could have known 10,000 year ago. Why would Guilliman ask Cawl to make such a suit of armor? And why would Cawl think his armor finished when it by itself would not work? And why is it suddenly finished now? Why did it take 10,000 years and finish only at this particular time? However all of this does make sense if this is part of a large Eldar plot. 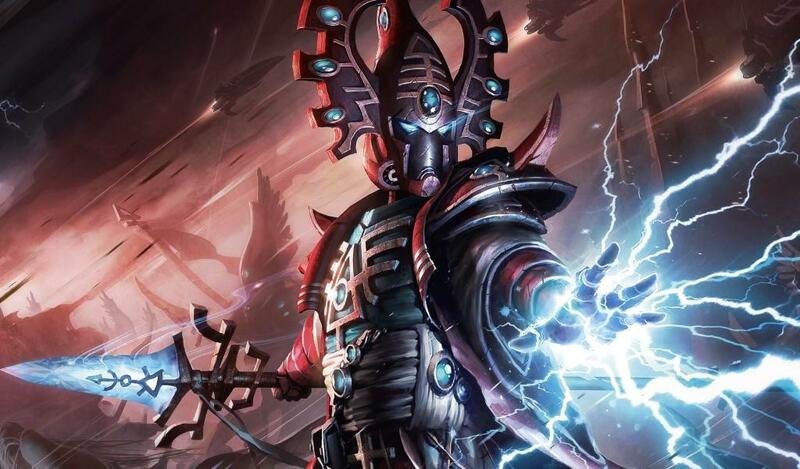 What if, the Eldar, through the rebirth ceremony and the suit, built of technology they gave Cawl, are controlling Guilliman and through him the Imperium? 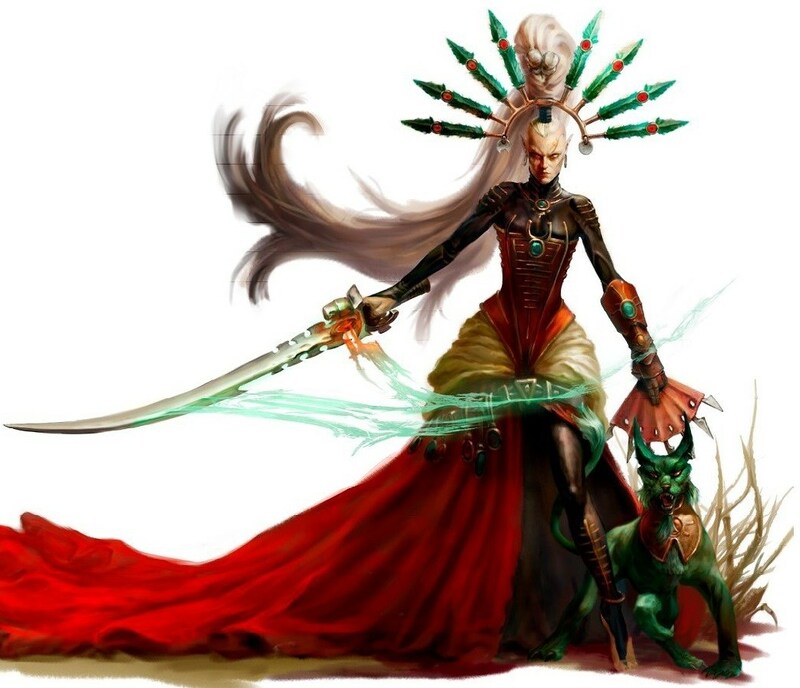 This would make sense of the Eldar presence. It would also go far to explain the interest in Cawl and his importance. Guilliman himself never seems to recall asking Cawl to undertake this great work. But it would all make sense if the Eldar, foreseeing these events, manipulated Cawl into bringing Guilliman back as their puppet. If this is the case it also makes pretty much everything Guiliman says suspect. And in fact Guilliman even brings up this very possibility in conversation with Yvraine. So here we have presented the possibility that his rebirth was tainted. And really, what makes more sense, that a ton of events just happened to line up with a rare Imperial-Eldar alliance to bring back Guilliman. And once that is accomplished the Eldar, known for their straightforwardness, just depart after getting him to Terra, with no deeper plan? 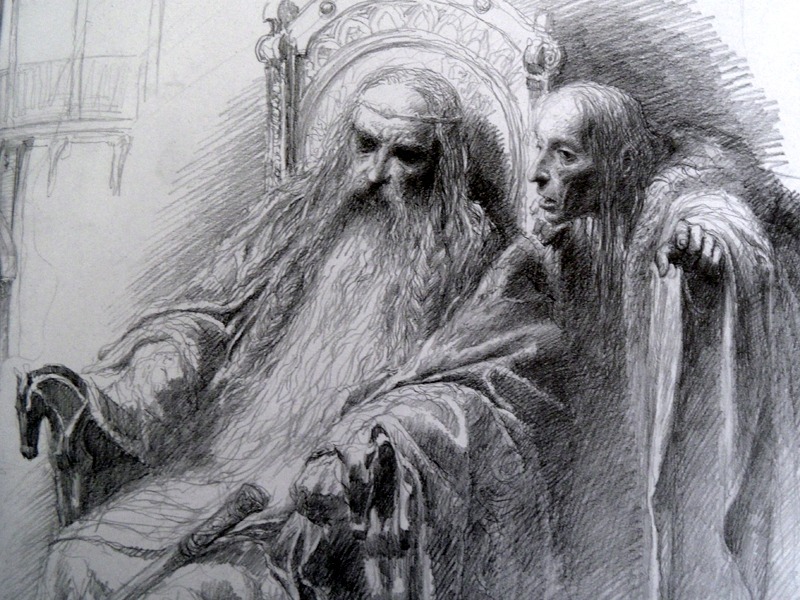 Or does it seem more reasonable that the Elder hatched a scheme to take over Mankind. For years they have tried to do just this, at least since the Emperor encroached on the Webway and earned their ire. Veilwalker implanted the idea to make a suit of armor into Cawl’s mind. The Eldar then brought him to Guilliman along with the those capable of aiding in the Resurrection. They then used either the suit or the ritual or both, to take control of Guilliman. 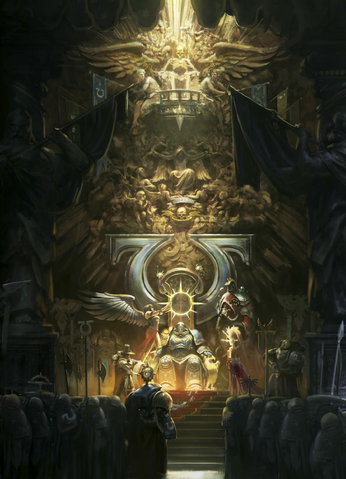 With Guilliman under their control they went on to insure, through direct and indirect means, that he made it to Terra and the Golden Throne. Once there they had him stage a coup, either by killing the Emperor, or simply taking control of the Imperium. 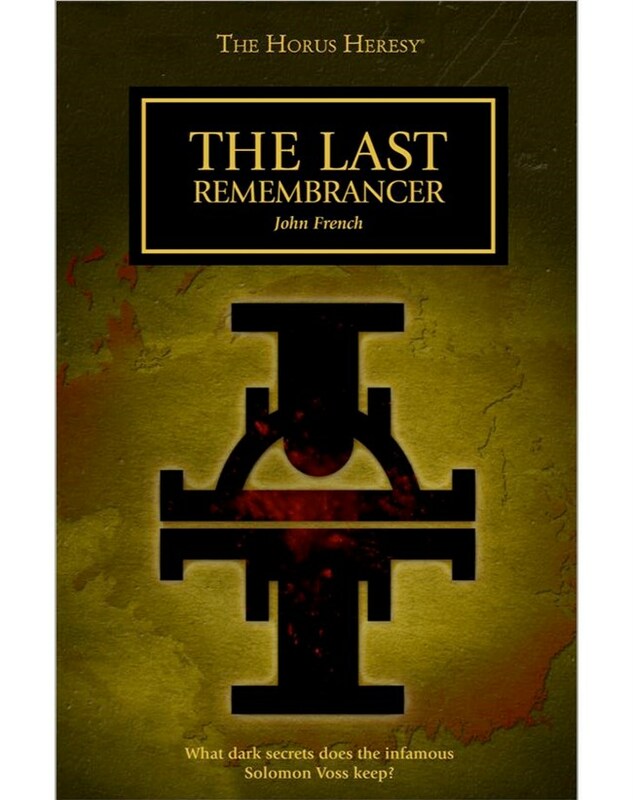 It’s even possible that Cawl’s work was finished long ago and that his masters waited till now, when the Imperium was at the brink and the return of a Primarch would be welcomed rather than questioned, to use it. 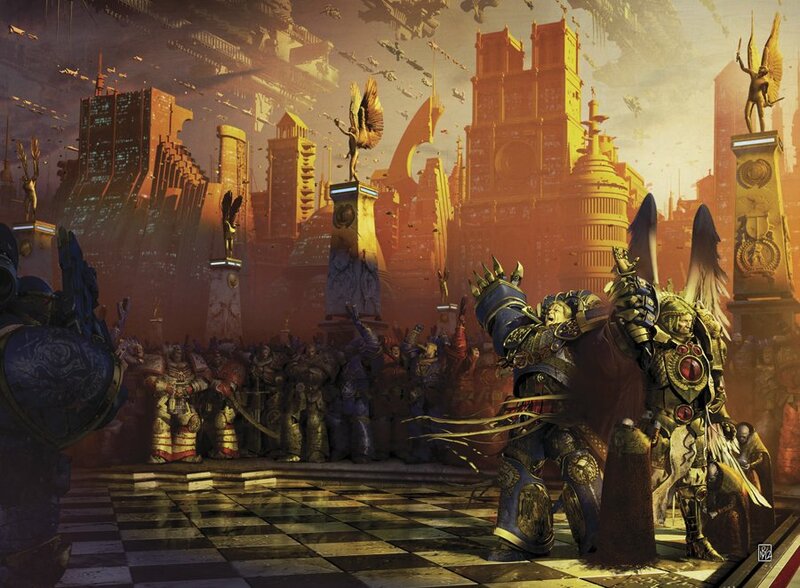 Whether or not the Emperor is alive, or even if he thinks he is in control, is now irrelevant, it is Guilliman who gives the orders. The Emperor may not even realize that Guilliman is under xenos control. And now with a xenos controlled Guilliman leading the Imperium and the Eldar controlling Guilliman the worst has come to pass. The Imperium has fallen. And the Eldar now rule mankind. So there you have it, what Horus and the Forces of Chaos failed to do, the Eldar and Guilliman have achieved. Let us know what you think, down in the comments.